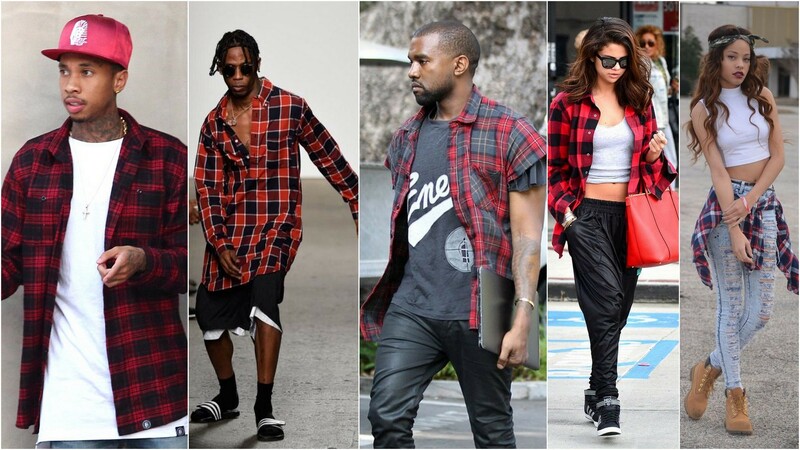 8 Fashion Trends In Hip-Hop That You Absolutely Can't Escape! 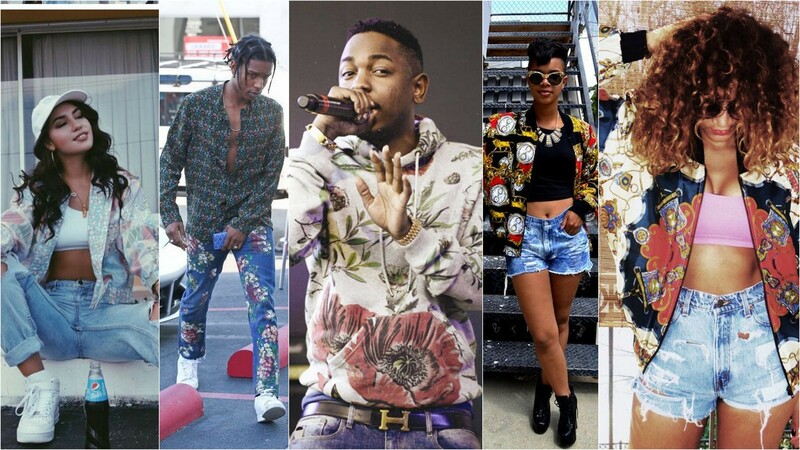 8 Fashion Trends In Hip-Hop That You Absolutely Can’t Escape! 11-Year-Old Noopsta Is A New Star In The Making! We all are pretty much aware about the fact that hip-hop in itself is a trendsetting genre. Not only have artists pushed their flair over the years, but they have also got the fashion industry buzzing by setting some glorious style statements. Ever since hip-hop’s establishment in the ‘70s, we saw many trends come and go, while few stayed around. Every era brought a new trend. Remember how oversized gold chains and Kangol hats were a serious thing back in the ‘80s? And how every next guy was seen donning silk shirts and sweaters after Notorious B.I.G started stepping out dressed in his Versace silk outfits and Coogi sweaters? While few fashion trends such as flashy leather suits and ornamental tanks tops are a thing in the past (thank goodness for that! 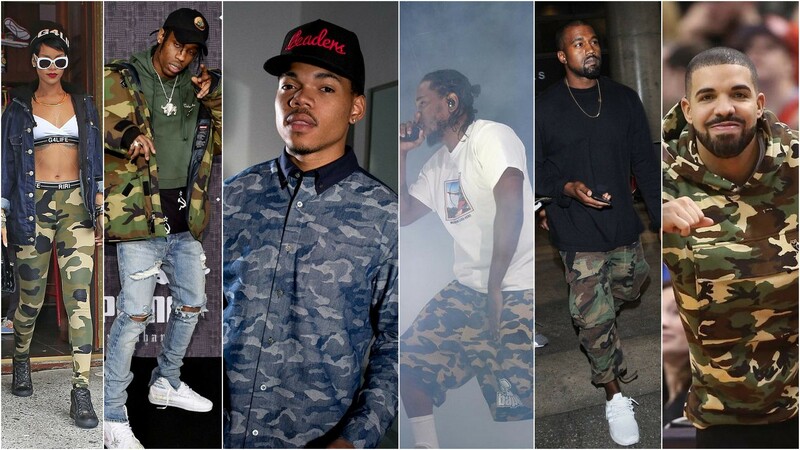 ), baggy jeans, cargo shorts, loose t-shirts and sweatpants are still a common fashion craze in hip-hop amongst the youths, and while it seems like they are here to stay, few new (and old) styles joined the list just recently. In case you seem to be losing on the recent fashion trends in hip-hop, fear not, my friend. We have got you covered! Here are 8 Fashion Trends In Hip-Hop you totally need to follow to get your style game ‘on point’ (after you get the street lingo right, that is). Having guys roam around in dark jeans with white casual tee and a jacket on, while girls flaunt the similar style as they pair the look with hot shorts, is a common sight. 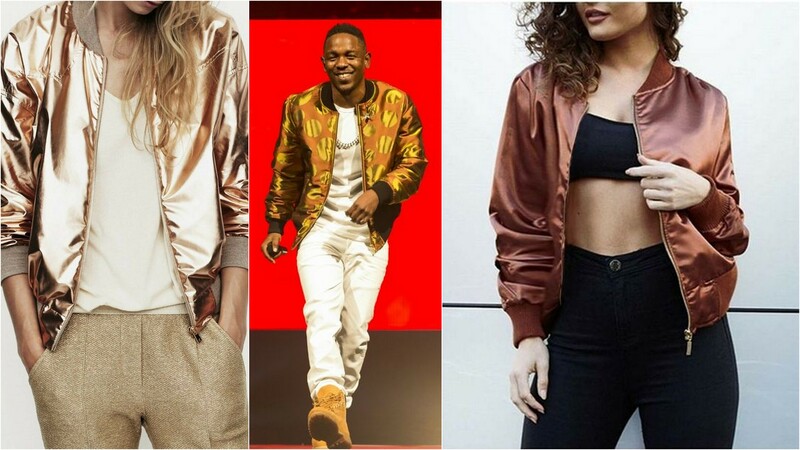 What’s new is the shimmery bomber jacket trend that has suddenly turned this everyday look into an interesting one. Just put on your usual clothes and pair it with a golden, silver or any other rich coloured flashy jacket and voila! You are ready to drop a fire album (not really unless you are actually a rapper but you get what we are trying to say, right?). Try this look, you’ll look fly! Back from the past – Say hello to dungarees! In ‘90s, dungarees were a huge thing and the rapper who majorly influenced the masses to get on with it was Tupac Shakur. 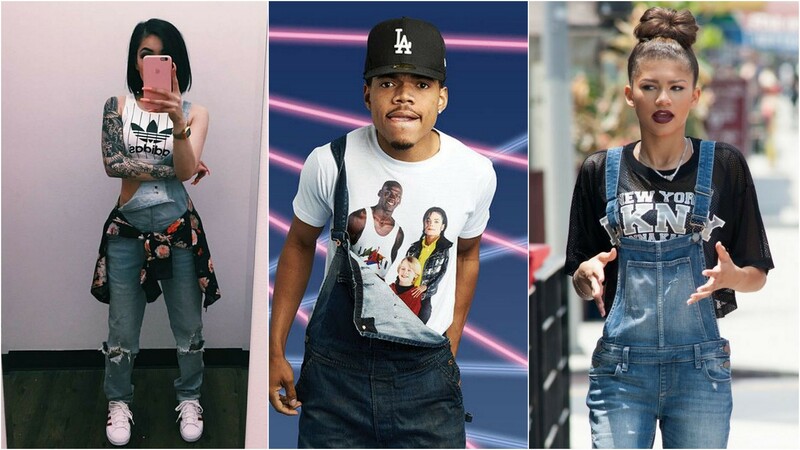 Back in the day, the Makaveli was seen flaunting dungarees on a regular basis, and; while it has been ages since the legend passed away, this style has recently made a comeback in a bigish way! Dungarees are so hot right now and we are not only talking about the denim ones. You can easily style it the way you want. Throw a thin shirt over it. Let the straps loose hang. Wear a crop top under it. You can experiment with this look since dungarees go well comfortably with almost anything! Ripped, in all the right places! We are pretty accustomed to ripped jeans. In fact, many of us at some point have taken the scissor and revamped our old denim jeans. Just like dungarees, even ripped jeans trend made an epic comeback in the fashion world, and hip-hop genre took it a little farther by introducing a style that’s not just restricted to jeans. Ripped tees with raw edges, roughly cut jackets, dresses with ripped straps, became sub-genres of the main trend and deserves to be in the list of 8 Fashion Trends In Hip-Hop. Those who just absolutely hate pants, say yay! 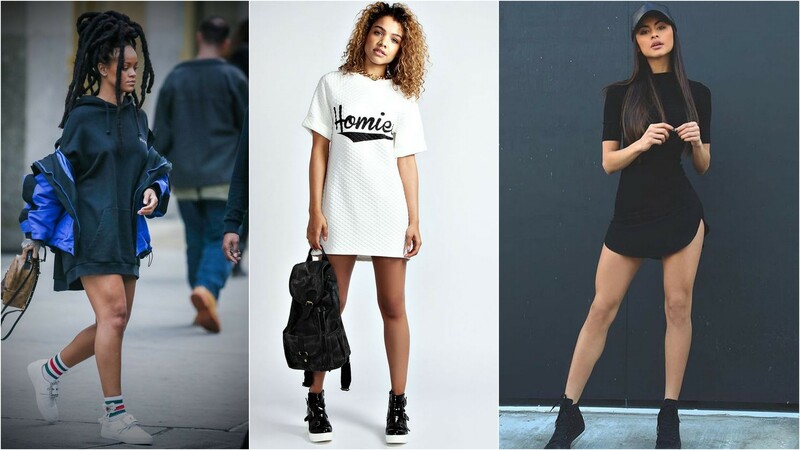 Keeping it casual yet looking trendy, t-shirt dress is one fashion trend that smoothly made its way into girls’ wardrobe. With funky, cool and cozy t-shirt dresses hanging just above the knee, this look can be styled in numerous ways. One easy way to rock this style is by having your hair tied in a messy bun with a backpack hanging loose on one shoulder, one can complete the look by adding a cool pair of sneakers. Well, this is one old vogue that nobody saw resurfacing anytime soon (read: ever). Absolutely no one! But when the style of sheer clothing made its way back in 2017, it definitely grabbed everyone’s attention as people realised how playful and bold they can be with the trend. From mesh crop tops and tees to dresses, this trend spread like a wildfire and is still burning bright. Over the years, we have seen hip-hop genre have a sombre feel attached to it. Hardly did we see an artist playing around with peppy colours or patterns when it came to his/her outfits. But recently, we found floral trend lurking on the streets and boy, does it look fantastic! From funky sweatshirts to vivid jackets, this is one fashion statement that makes even Mondays seem less gloomy. Accepted, check shirt trend is not a new deal in the market. In fact, it has stayed around for many years. But after staying away from the scene for quite some long time, the style has finally resurged and how! Wear it, tug it, tie it, hold it, the check shirt trend will never make you look out of place with your outfit. Through their music, every other hip-hop artist is trying to tell a story of the battle that he won, and what else can make one look like a fighter than camouflage prints? So it comes as no surprises that camouflage trend is the most popular one in the scene. While they do look stylish, they also work as a confidence booster. 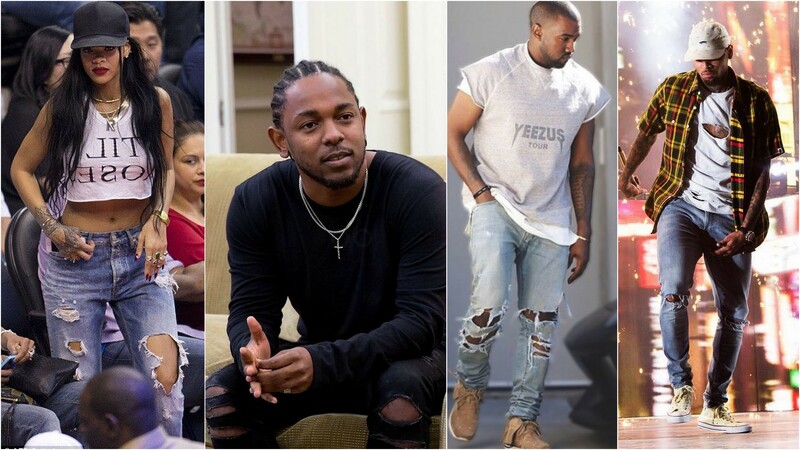 So, these were the 8 Fashion Trends In Hip-Hop, If you liked the article or have any suggestions feel free to comment on the comment section.